Koffeeone are pleased to launch our very own Australian coffee machines. Koffeone now have two versions available:- Australian espresso machines and Australian automatic coffee machines. 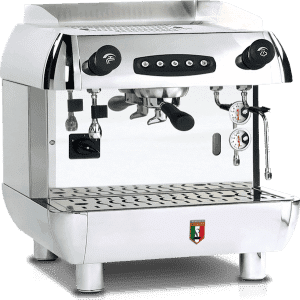 Nuova Simonelli Talento and Rex Royal S200. Superb Automatic Coffee Machines . To operate. Simply press the button of our choice. Your Automatic Australian Coffee machine will spring to life. The best Latte. The very best cappuccino. Brilliant Flat Whites and Incredible Espresso. Nothings a bother for either of our automatic Australian coffee machines. All three brands stand are leaders of quality. Total Excellence and shire class. 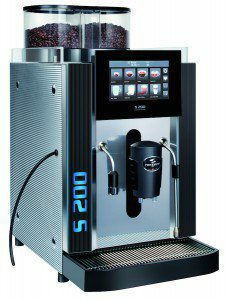 So look no further than Koffeeone for you next espresso coffee machines for your cafe, hotel or club. Pierro commercial coffee machines will be perfect for you. With so many many café coffee machines on the market it can be very confusing. Let Koffeeone take the guess work out of it for you. Provide you with all the right information on which Italian coffee machines will best suit you. Many fantastic clients have chosen our Pierro Platinum commercial coffee machines for their Cafe. Chosen for their quality extraction, their reliability, their precise performance and accurate delivery of shots. Pierro café coffee machines deliver perfect espresso, shot after shot, and are extremely reliable. They look sensational on every café counter. Check out the extraction below from a naked portafilla on our Pierro Silver espresso coffee machines.